I hope you enjoyed a tranquil and festive holiday season. The first day of a new year is a time for reflection, celebration, and the setting of intentions, and as such, it's also the ideal time to reexamine our relationship to food. For my last regular foodie post on Tranquility du Jour (though I'll be back in 2011 with some guest posts! ), I thought it would be lovely to look both forward and back by considering past posts as intentions for the New Year. 1. Enjoy a tranquil farmers' market experience. 2. Celebrate delicious food and conversation with a brunch soiree. 5. Infuse gratitude into your relationship with food. 10. Host a dinner party focused around yummy, plant-based dishes! What are your food intentions for the coming year? I've loved sharing my 2010 with the fabulous Tranquility du Jour community. Here's to a delightful and delicious 2011! Cheers! 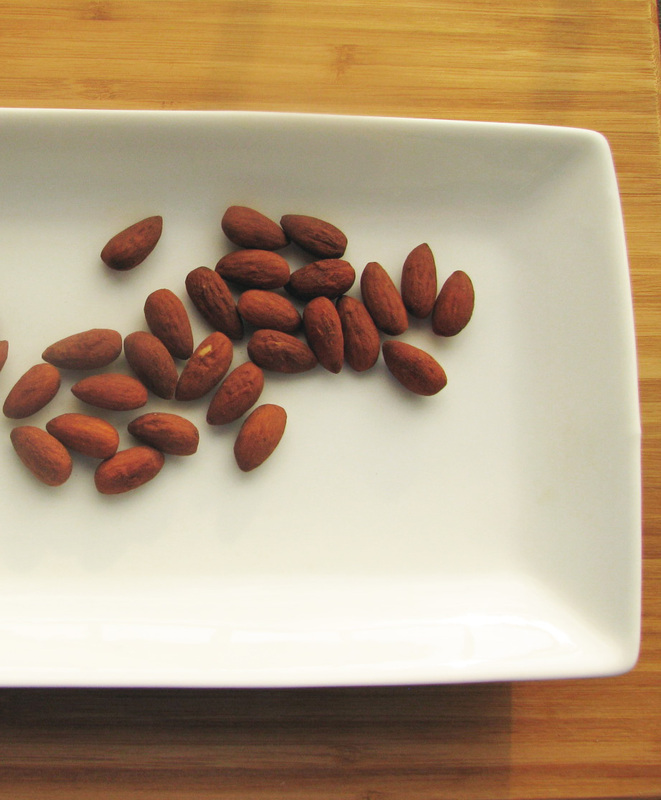 Photo of toasted almonds by moi. heh, love it! do you ever eat "sweet" veggies? (sweet potato, butternut squash, carrots, etc.)? Their natural sweetness can help to satisfy a sweet tooth without the sugar rush!